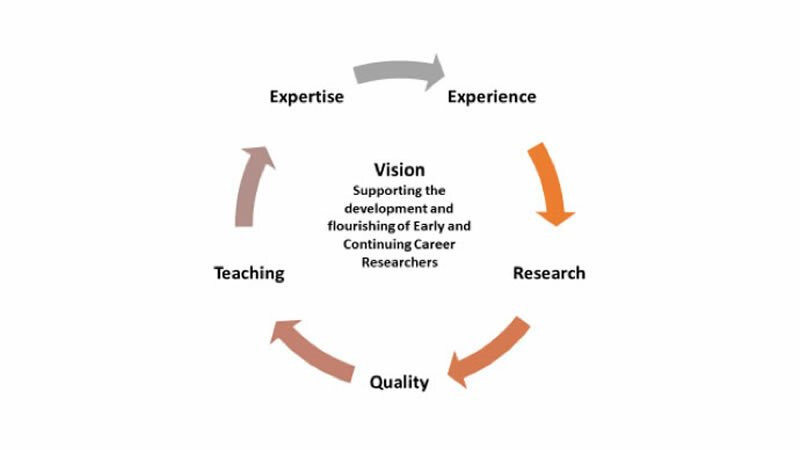 To develop the platform for Early and Continuing Career Researchers to flourish, based on our School-based strategy that connects with the wider University strategy. To provide a supportive environment that scaffolds personal development for Early and Continuing Career Researchers. To generate a vibrant Early and Continuing Career Researchers community. 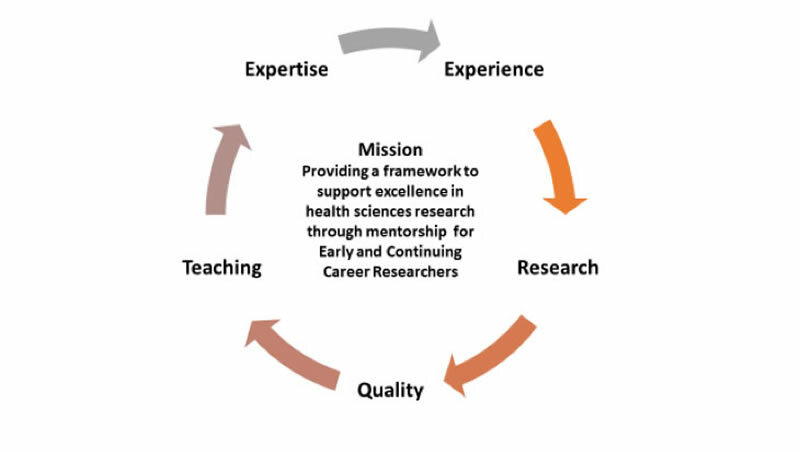 To support Early and Continuing Career Researchers development, promoting self-development and academic rigour through the School’s mentorship scheme. 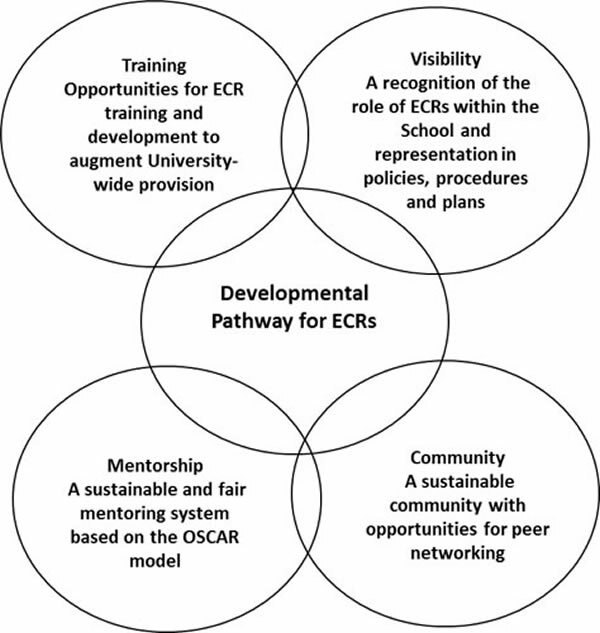 The School is committed to supporting ECR development based on a pathway that centres on four key dimensions: community, visibility, training and mentorship. These provide the touchstones for building structures and processes to create a sustainable platform for encouraging and guiding the progression of staff and PGR students as early and continuing career researchers along a developmental pathway.